Pop up design: Pull the pop up button at the bottom,all cards slide out orderly,convenient to select the card you want! Multi-Functional Practical Design: Auto pop-up button. it can pop up all cards. convenient to get the card you want. 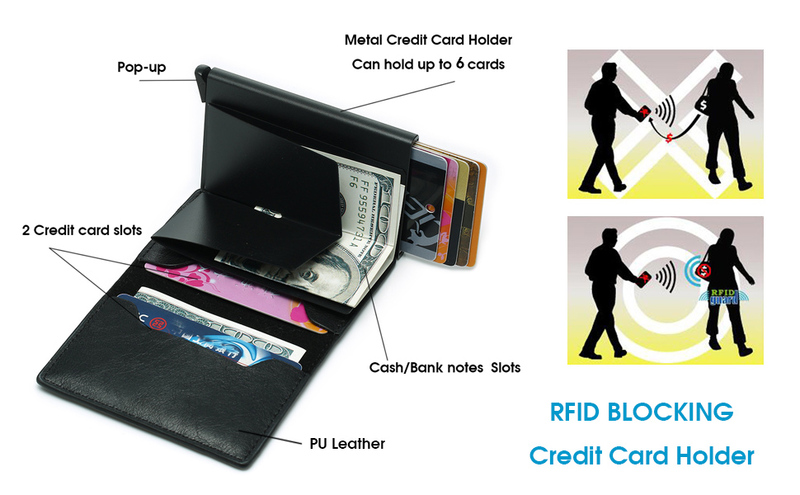 hold about 10-12 cards safely and make sure not fall out, 2 leather cards slot , extra money clip . 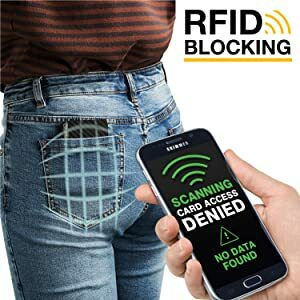 RFID blocking Security: Block unwanted RFID scanners, protect your business Cards Credit Cards Debit Cards ID Cards from electronic pick pocket,It is very secure and is perfect for you travel or shopping. Warranty: 1 Years Warranty .Nice for daily use, travel, office, business, shopping,great as gift for you friends and family.